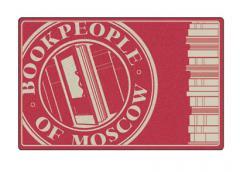 Home » Blogs » bookpeopleofmoscow's blog » To Read or Not to Read? There is a recent buzz in the bookselling community about author events—to read (or rather, host readings) or not to read: that is the question. A few weeks ago, a long-standing Seattle shop announced it would not, opting for occasional community events instead. Readings require considerable effort—additional staffing, inventory, and time spent coordinating publicity. A few months ago, I met an event manager from another store who also favors community events to readings. “Readings are old hat,” he said. “It’s the same format every time. Boring." New to the job, I’ve been thinking about this perspective a lot. True, readings follow a pretty set format, but so do our favorite TV shows, podcasts, or book genres. Format is just the container; what fills the container changes with every author who graces our podium. Before I came to BookPeople I taught writing, and I required my students to attend author readings. While often resistant beforehand, they were almost invariably glad they had gone. Readings offer the exciting opportunity to meet and hear a writer whose words you’ve admired. It’s fascinating to get the stories behind the story, to hear about a writer’s evolution of ideas, characters and plot, the long and winding road to finding a publisher, or, sometimes, the battles over book cover drafts! Of course, community events are great fun, and we have a number of them in the works and on the calendar (like March 22’s Maisie Dobbs High Tea at Bloom). But we'll also continue to host readings by seasoned and debut authors alike—and sometimes on the same occasion. We hope you’ll keep an eye out for these events, and we hope to see you there!